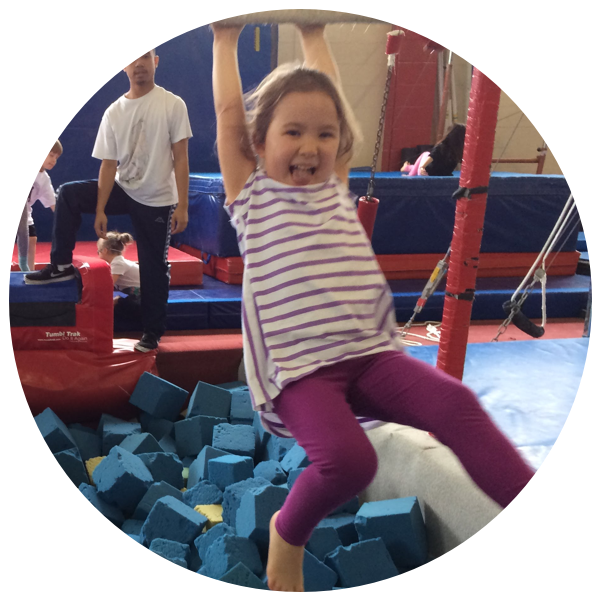 Our San Mateo facility provides camp opportunities throughout the year for children between the ages of 3.5 and 12 years old. “Circus on Stage” activities include gymnastics, acrobatics, tumbling, circus acts and choreography. No prior gymnastics experience is required! Have a child with special needs? Ask us about special needs assistance! Every Friday at 2:15 pm, parents are invited to enjoy our colorful weekly performance where our young actors will perform the acts and skills that they learned in camp. In consideration of using and participating in the Peninsula Gymnastics Training Center's premises, equipments, services, and activities (collectively “Activities”) I represent that I understand the nature of these Activities and that I am qualified, in good health, and in proper physical condition to participate in such Activities. I acknowledge that if I believe event conditions are unsafe, I will immediately discontinue participation in the Activities. I hereby release, discharge, and covenant not to sue Peninsula Gymnastics Training Center, its respective administrators, directors, agents, officers, volunteers, and employees, other participants, any sponsors, advertisers, and, if applicable, owners and lessors of premises on which the Activities takes place, (each considered one of the “RELEASEES” herein) from all liability, claims, demands, losses, or damages, on my account caused or alleged to be caused in whole or in part by the negligence of the “releasees” or otherwise, including negligent rescue operations and future agree that if, despite this release, waiver of liability, and assumption of risk I, or anyone on my behalf, makes a claim against any of the Releasees, I will indemnify, save, and hold harmless each of the Releasees from any loss, liability, damage, or cost, which any may incur as the result of such claim. Please note that the promo code can only be applied when camp is paid for in full before May 1st, 2019.